Which is, essentially, the raison d’etre for this site in the post-election landscape. I believe in making calls, making donations, making the decision every day to stand up for our fellow human beings. And I believe that when we are weary and heartsore from the work of the world, books are a refuge. They give our minds rest; they let us escape; they encourage us to love harder; they call us back to action. We must have light in the darkness. We must have all kinds of books. I’m going to do my best for the world beyond the page, but I’m going to keep reading omnivorously too (even if I’m not writing as much as usual). I hope you’ll find some comfort, and some light, here. His poems are cozy but not uncomfortably intimate, clever but not arrogant. Their subjects are work and rest, reading and writing, eating, looking out of windows; in short, the everyday business of being alive in America. As I’ve written elsewhere, his poetry is perfect for picking up on a whim, while you wait for a friend who’s late to dinner, say. You’ll be entertained, you’ll think, and you might even laugh, but you won’t be trying to unknot a metaphor half an hour later while you chew your escarole. of voting to an enlightened citizenship. More fanciful are poems like “Cosmology,” in which the world is imagined to rest of Keith Richards’s head (literally) or “The Bard in Flight” (you can read a slightly different version here), in which the speaker imagines sitting next to Shakespeare in an airline cabin; particularly clever is the way he imagines the Bard trying to catch the nuances in the flight attendants’ speech (for later use, of course). Still, despite the humor and the flights of fancy (couldn’t resist), I found this collection more somber than I expected; maybe wistful is the right word. The poems about travel seem a lonely, for one thing. There’s a brief elegy for Seamus Heaney that sneaks up on the reader, like a silent rabbit in a yard. And I loved “December 1,” a tribute to the poet’s mother on what would have been her 114th birthday. 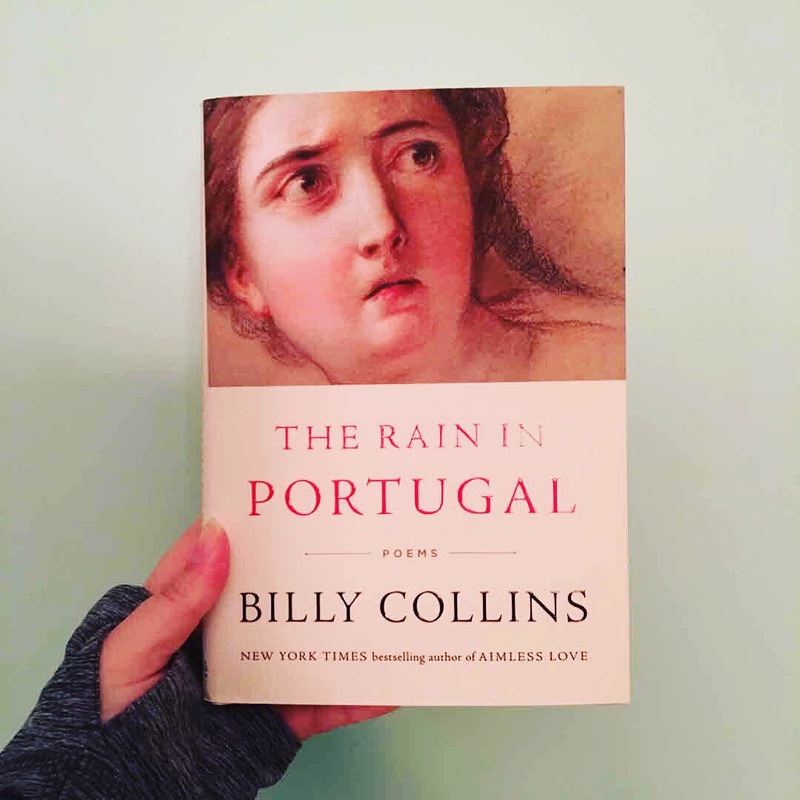 If you’re looking for respite, a quiet hour or two to spend in someone else’s everyday life, with thought experiments and gently put questions, you won’t go wrong with The Rain in Portugal. Blogger friends, if you’ve read this far, thank you, and thank you for all your kind comments over the last few weeks. I’m sorry to have fallen behind with your posts, and I hope to get back up to speed in December, though I probably won’t be around as much as I used to be. *hug* I think we’re all scrambling around trying to figure out what’s to be done next. 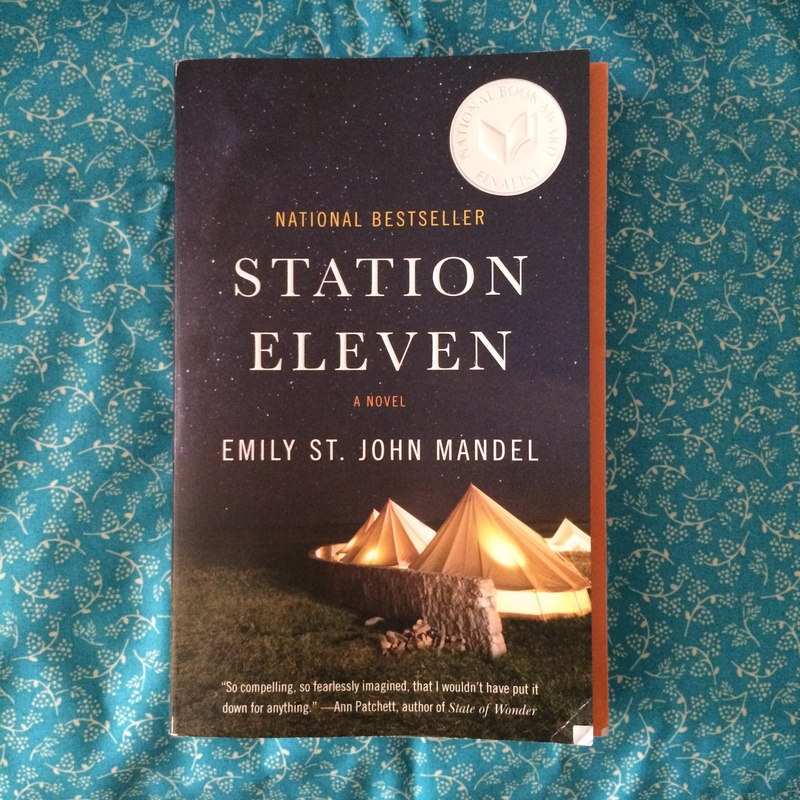 And you are not the first person I’ve seen bring up Station Eleven as a book that’s been comforting post-election. Says a lot about where we are as a country, no? I’m glad to see Station Eleven still has life and new readers after the initial flurry and popularity at its publication. It’s a book I really enjoyed. And poetry, there is never enough poetry. I hope everything is going ok with you. Take care!